Cracker Jacks puts the free toy out of its misery with a mobile app tie-in. Frito-Lay is vanquishing any nostalgia you might’ve had left for Cracker Jack by eliminating the physical toy inside. In its place, all Cracker Jack boxes will now include a piece of paper with a QR code printed on it. Scanning that code into an iOS or Android app called Blippar will cause a baseball-themed digital “toy” to appear on the screen. For instance, consumers might see themselves on a simulated stadium Jumbo-Tron, or be able to put themselves on a digital baseball card that they can trade with others. 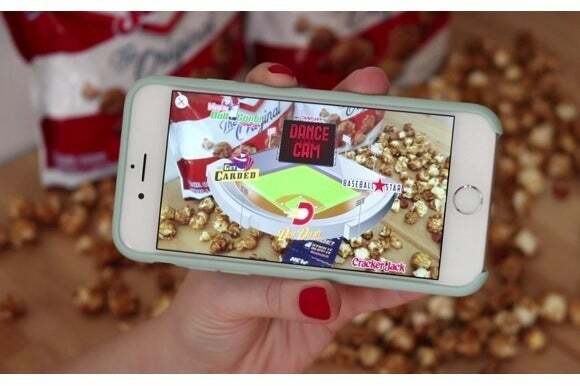 Why this matters: This isn’t the first time Cracker Jack has dabbled in digital toys. In 2013, Frito-Lay started offering codes to redeem games through the Cracker Jack app on iOS and Android. Meanwhile, Frito-Lay has cut back on the toy’s prominence, switching from plastic trinkets to paper slips with only riddles and jokes. Still, it sounds like this is the end of the line for physical toys as a whole, as phones and apps subsume another cultural touchstone.